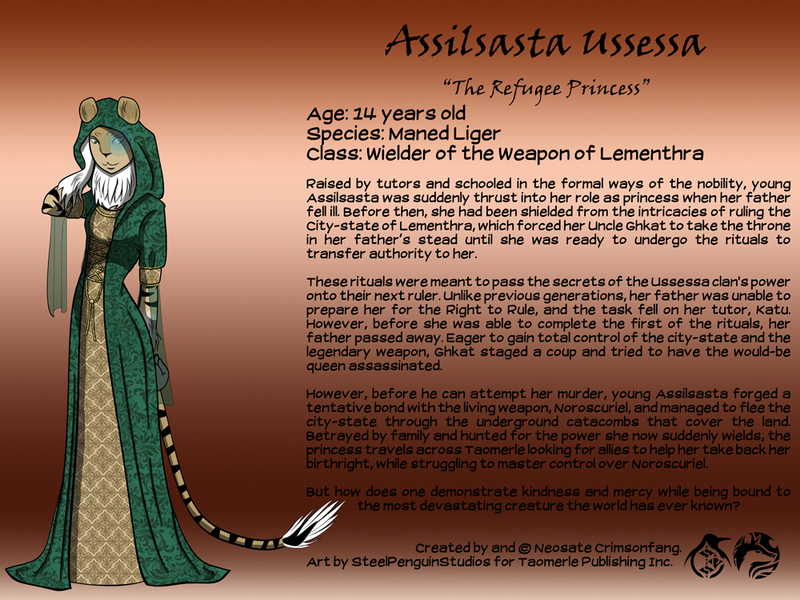 Reference sheet of Assilsasta for the upcoming Taomerle comic. A depiction of Noroscuriel would be logically next. You stated that her control of Noroscuriel is "tentative" which means that this -living weapon- is not entirely under her control. CYCLOPS - Can't turn his eyebeams off. Must wear the visor to block or manage them. ROGUE - ANY direct contact with a person automatically transfers abilities, memories, etc., to her. Permanently stole the powers & memories of the original Ms.Marvel. I walked away from Marvel ,DC, Sonic, etc., long ago. A ref sheet for Noroscuriel is upcoming. However, the details I am providing are only introductory - basically where the characters are in their lives when they get introduced in the story. These are more teasers than anything else. As far as the story details go, I am the artist, not the writer. Once references are complete for each of the main characters, I am going to begin drawing the comic pages. I do appreciate you commenting on the information, though. Thank you!